Ex-Group leader of X-Project popularly known for their hit singles like Aiye Mi, Lorile amongst others switches his genre into gospel music. 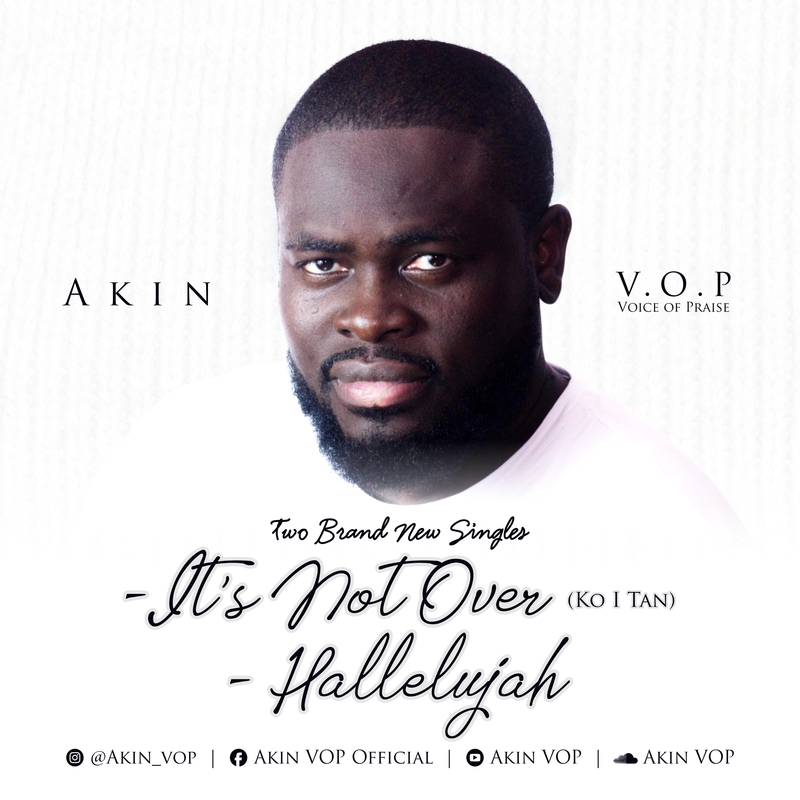 He was formerly known as Majeed while with the group but now rebrands with a new name as Akin VOP (Voice Of Praise). He comes through with the release of his two brand new singles as a gospel artiste titled It’s Not Over (Ko I Tan) produced by Puffy Tee and Halleluyah produced by Olaolu Ajibade. It’s Not Over (Ko I Tan) is an upbeat tune, danceable, well delivered and promises to leave you stay blessed and fulfilled. Halleluyah is a worship song and its guaranteed to leave your soul lifted & spirit filled.